As a busy mama raising your littles while working from home, I know how busy you are. You’ve got laundry to fold, a kitchen to clean, kids to feed, and on top of all that, you have some serious goals to grow your online biz. But sometimes it just doesn’t feel possible to do it all and still have time to work on your biz, right? 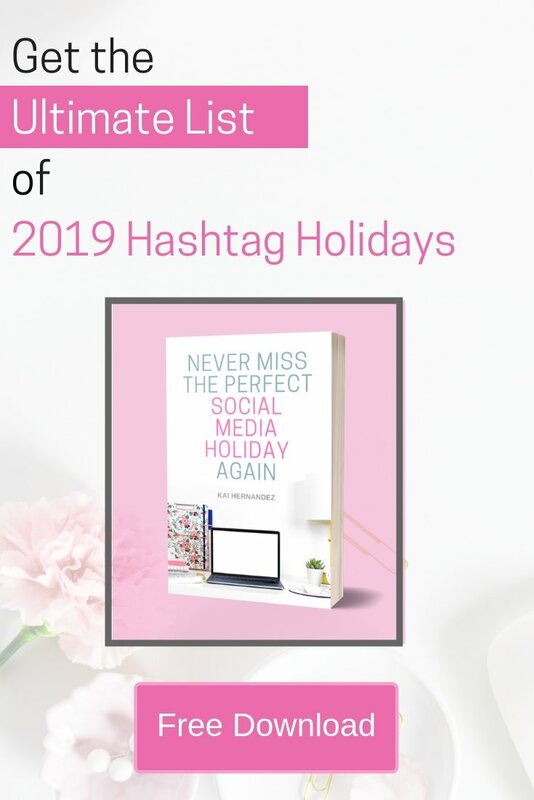 You started your online biz to be able to stay home with your little ones, but now it seems like you don’t get to spend enough time on either of them. 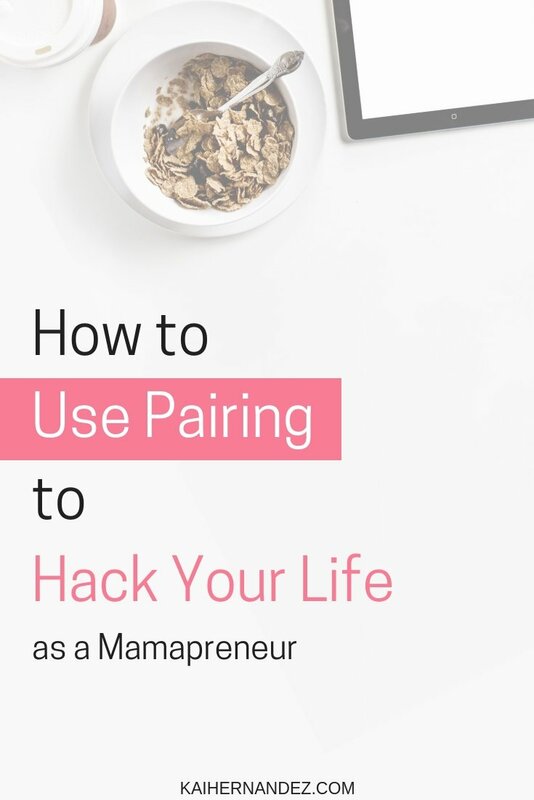 Well this easy pairing productivity hack will make working on your biz fit seamlessly into your mom-life. As a mama, I know you are already doing this quite often in daily life, you probably just don’t realize it. Ever clean dishes while dinner was baking in the oven? Throw laundry into the wash before taking a shower & into the dryer after? What about turning on your computer while getting coffee? Are you an instant coffee lover? I bet that you’ve put your powder into the mug while you’re waiting for the water to heat up. Or getting your little one out of pjs and into clothes for the day with their first diaper change? Yep, that’s all pairing. I told ‘ya you were already doing it. Pairing just means to pair two actions together, to knock them out at the same time. Now imagine using this pairing productivity hack to fit your biz into those little openings you have in your day. Now, this may be a little bit tricky at first because a very common way to fill our times for pairing, is just but reaching for our phone and checking for notifications. Try to take some time today and be mindful for the times you find yourself reaching for your phone throughout the day. Is there something that you’re waiting for? If you have a set amount of time you need to wait, like while breakfast is heating up, why not spend this time to knock out something simple, like checking your biz inbox for any emails. Is there something you do every day, like making coffee, that can help you start working right away by turning on your laptop or reviewing your daily goals at the same time? It could also be something a little less obvious, like deciding to listen to biz related audiobooks on your morning walk. Now that you know how to discover your times for pairing, let’s figure out what tasks fit the most naturally. This can be as simple as working on your laptop while dinner is in the oven. Or starting your biz time blocks the second your littles are down for a nap or are dropped off at preschool. Try making a list of the things you need to consistently do for your biz, & see when you can pair them. You can even pair them with things that happen while you’re working, like checking for new orders only when you sit down to work each night. The most important thing is that the pairings are easy to do together. Meaning that they are within the same general area, and they naturally fit together in terms of duration. How do you use pairing to hack your life? Let me know in the comments. Let me know if you have any questions about pairing or anything else in this post.